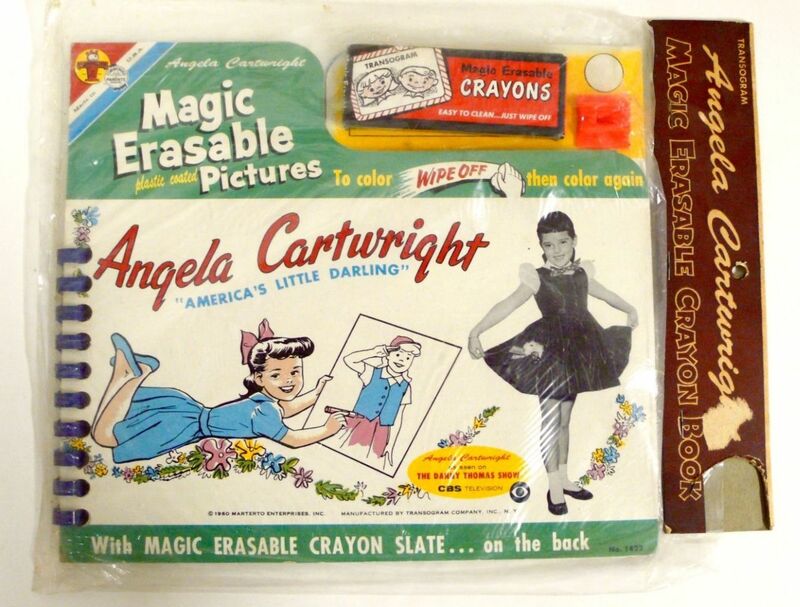 1960 Transogram Angela Cartwright Magic Erasable Crayon Book. Angela appeared on the Danny Thomas Show and Lost In Space. Mint and unused, still factory sealed in baggie with header card. Corner of header card where printed price was has been cut off, otherwise quite nice.